Stealth lives! F-22 Raptor by Wpnssgt. SF’s evolution has been an exciting, and at times traumatic, experience, but the journey has been well worth it — and it’s not over. 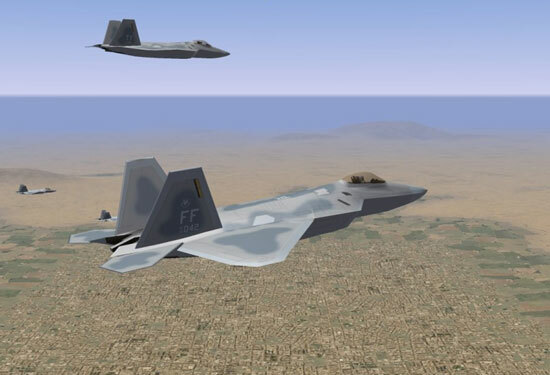 As mentioned earlier, stealth is supported by SF, and soon the modding Community will be releasing aircraft that will take advantage of this. And not only do more user made mods appear for SF literally every day, TK has stated there will be further Service Packs and patches over time. One of the most anticipated developments of SF, volumetric clouds, are slated to appear in the next patch. The SF engine has been so successful that it’s also appeared in three other sims. Firstly, SF’s sister sim, Wings Over Vietnam. This sim was originally to be included in this article, to do it justice we will feature WoV in another article in the future. 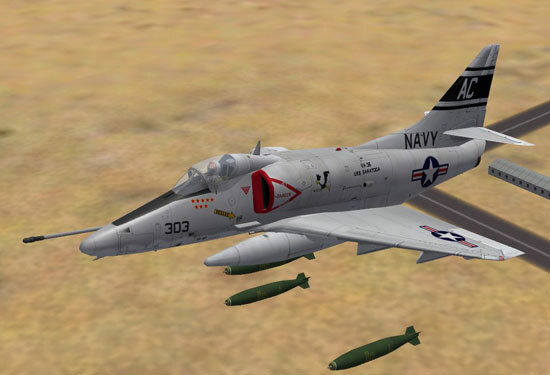 Secondly, is a sim titled First Flight: The Wright Experience Flight Simulator, stated to be the “most aerodynamically accurate simulation of the Wright Flyers available to the public”, and finally, Air Dominance, used as a recruiting tool by the USAF. I should say the SF engine has appeared in three other sims, so far. Currently in production is a yet un-named World War One flight simulator being developed by Third Wire. Visit the link below for the Third Wire Forum, where you can see many screenshots on SF’s upcoming features and the new World War One sim. SF’s Kung Fu is strong, the Community is passionate (and friendly), as is the developer, and there is almost no limit to what SF can do as a lite flight sim. You will not spend a better 10 bucks — period. So come and join us, if SF doesn’t have exactly what you’re looking for, the Community will help YOU create it. Read the stickies at the top of the Forum, and if you have a question, do a Forum search. 99.9% of questions have been asked before, so why wait for an answer? Just look it up! Here you will find the official add-ons, patches and service packs. Here you will find a comprehensive list of sites. These four sites will have all you need to get you started in your Strike Fighters: Project One experience! A Special Thanks to Major Lee, Charles, capun, Column 5 and the SF Community in general and modders in particular, without whom there would be no article to write!